Partner Search / Arctic Grey, Inc.
Arctic Grey, Inc. is a web and mobile development firm headquartered in the beautiful city of Mountain View, California. Our design & development teams are known for their experience with custom projects ranging from enthralling website design, to pioneering mobile app development. 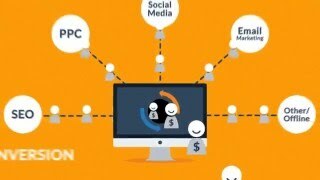 Get more traffic. Improve search ranking. Engage your customers. We have developed a 4 week process using a cutting edge formula we've developed. Without telling you our secret recipe, we can tell you a little bit about our secret sauce, in short we infuse search engine marketing with the SEO of each page of your website to give your ranking the jolt it needs to build up great natural search results on Google insanely fast. We are the marketing kings of the digital under-world. Arctic Grey has an advertising team so amazingly brilliant that people just like you will be reading our website banter all day long. We like results, not charts. Try one month of marketing with us and if you don't see an instant return on your investment, we will let you fire someone from our marketing team (fire John please, he's annoying and eats kale) right then and there. We will convert your existing logo into a beautiful 3D Logo Animation. 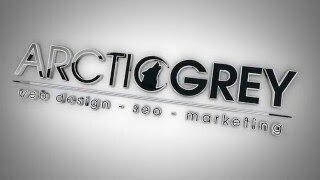 Logo Animation - Version 1 | Arctic Grey, Inc. 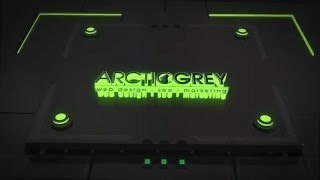 Logo Animation - Version 2 | Arctic Grey, Inc. 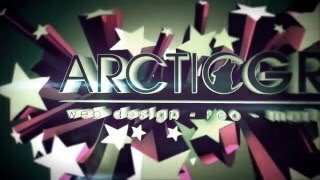 Logo Animation - Version 4 | Arctic Grey, Inc. 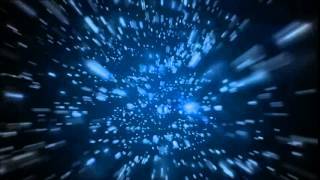 Logo Animation - Version 3 | Arctic Grey, Inc.